From The Appeal-Democrat – When water is involved, there’s almost always a battle between competing interests. That was the case along the Yuba River until 18 different parties reached an agreement a decade ago, which delineated what water benefits each would realize. This past year was the 10th anniversary of the game-changing Yuba River Accord. After decades of court battles over how the different parties thought the river water should be used, the Accord – finalized on May 20, 2008 – brought parties to the table to find a meaningful and long-term solution. 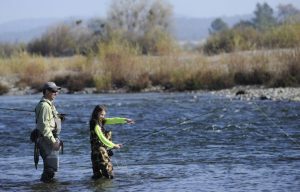 The Accord has been hailed as a landmark achievement by many in the water world because it establishes improved conditions for fish like salmon and steelhead, reduces flood risk, protects water rights for farmers and ranchers, and provides a reliable water supply for cities and farms throughout the state. It’s about as comprehensive as a water agreement can get.